Hate cafés where the food isn’t as good as the décor? Where the prices are way too high for the portion sizes? Then head to these cafés and bistros in Yishun and Upper Thomson! You’ll find all you expect of hip town cafés, like specialty coffee, spam fries and live music, all at under $10 for a snack and coffee. Located within ORTO, Quench! is an open concept bar that boasts both indoor and alfresco seating, and carries a wide selection of beers, mocktails and great comfort food (think spam fries, fried chicken and pasta). The best part? 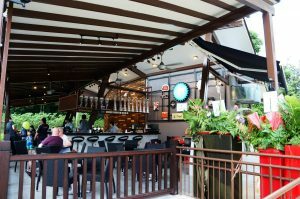 It’s open till 3am everyday – perfect for lazing around on a sweltering weekend afternoon or just to unwind after work. An ice cream boutique that serves artisan ice cream, Holy Cow Creamery has earned the reputation as the go-to ice-cream café in Yishun. 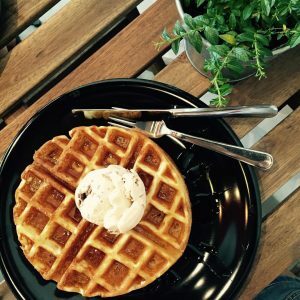 Pair your ice cream with fresh, piping hot buttermilk waffles and a generous drizzle of golden maple syrup. 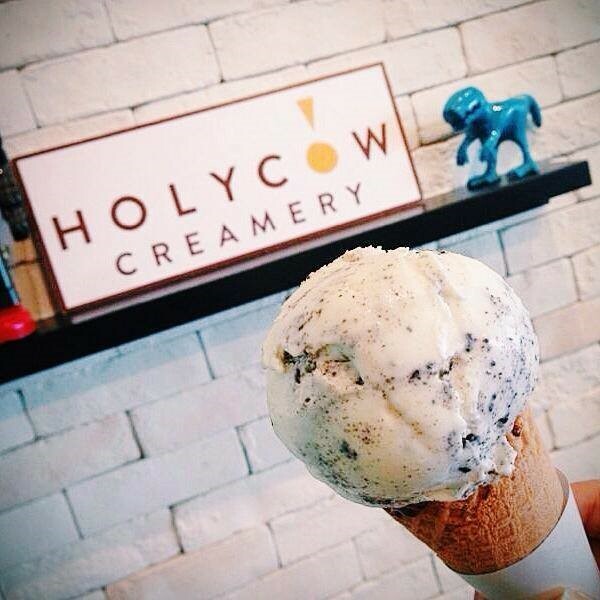 For those feeling more adventurous, Holy Cow offers fun flavours like Love Potion (rose and berries), Miss Saigon (Vietnamese drip coffee), Nuts About Beer (Tiger Beer and salted roasted almonds), and even Stacy’s Mom (dark chocolate cake, belgium chocolate), amarena cherry bits) – cheekily named after the pop song. With great flavours like these, Holy Cow has got it going on. 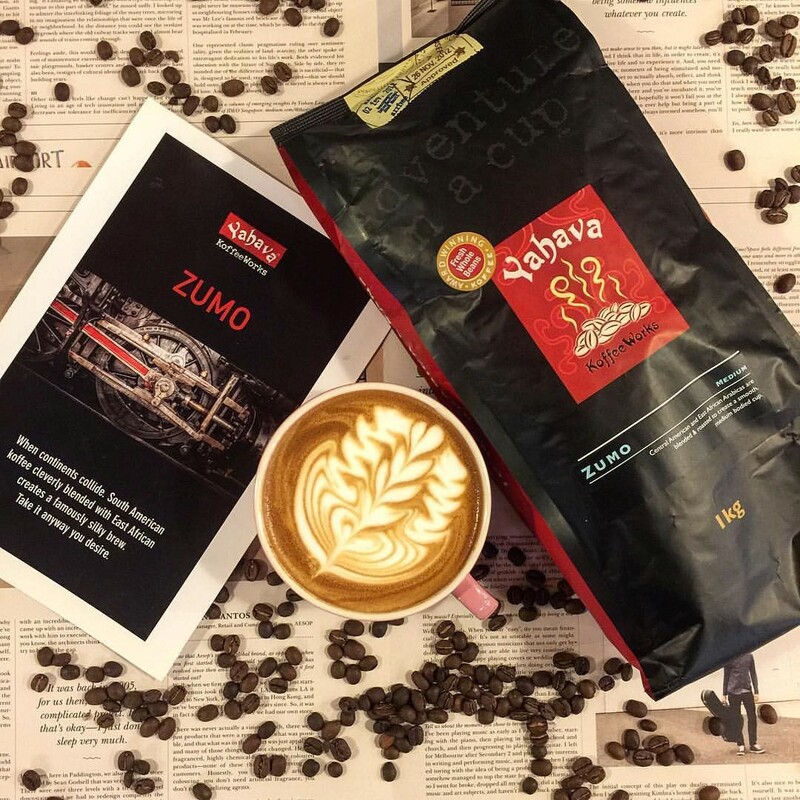 The pride and joy of Nee Soon caffeine aficionados, Yahava KoffeeWorks is well known for its specialty coffee, with quality beans sourced from all around the world. As a testament to its commitment to spreading the love for coffee, the café roasts its own beans, conducts regular events like barista classes and coffee tasting, and offers a selection of its house-brand freshly roasted beans and coffee accessories. Yahava is an unpretentious, homely space great for those looking for a quiet space to read or spend quality time with families and loved ones. Here’s another humble café that lets the food speak for itself. Doughwory occupies a small but cozy space at Yishun Street 51, serving up delectable cakes and pastries, indulgent buttermilk waffles with ice cream, and artisan Western coffee for people in the neighbourhood. But what’s so great about Doughwory is that the café stays true to its heartland roots. There are puffs, Swiss rolls, and even traditional waffles with local spreads like kaya, blueberry, and peanut butter – the sort you get at your friendly local bakery! With a great selection of sweet treats for both the young and old crowd, Doughwory truly offers the best of both worlds. Premium homemade ice cream topped with freshly baked buttermilk waffles. Nothing can get better than this, right? Wrong. Madcow’s creative owners have elevated this place above other dessert cafes, making it a space where people can enjoy good desserts and great music at the same time. 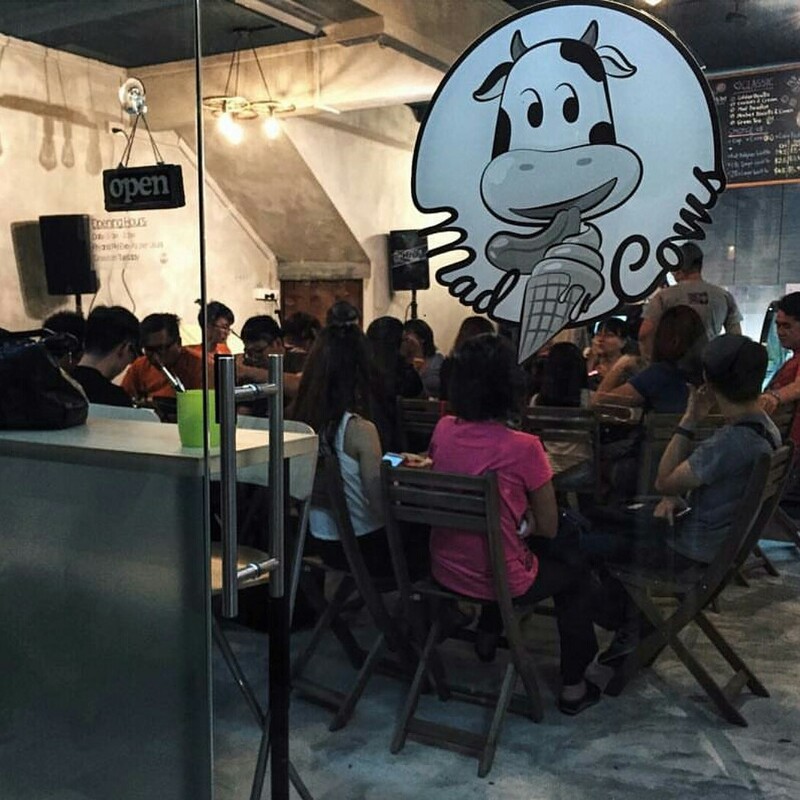 With regular live performances by local bands, diners are almost guaranteed to have a good time – proving that Madcow is not just another ice cream café. Lifestyle articles are based on the experiences of our volunteers and other sources. They do not constitute any endorsement, connection or lack thereof to any business. If you would like to add something about your business, email us.